We pride ourselves on the quality of our service and competitive, affordable prices and aim to be the best window cleaners in Wetherby. We have invested in a state-of-the-art pure water window cleaning system for the most effective window cleaning service in Wetherby. Hot water is well known for its added cleaning power,eg washing clothes, dishes etc, and the same applies with cleaning glass. Purified water has many industrial uses because of its purity, and being filtered of all natural contaminants and hard water deposits such as limescale and chalk. This means it dries to leave streak-free,sparklingly clean windows. Please read customer-pure-water-guide for more information on purified water. Professionalism is at the heart of our service and we are committed to ensuring a safe working environment for those around us. 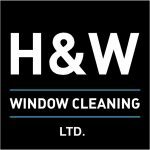 If you are a business in Wetherby you can be sure that our commercial window cleaning service looks and acts professionally in every way. We also offer an internal window cleaning service to our custromers in Wetherby and Harrogate when combined with an exterior clean. Please book this in advance. 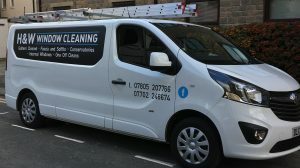 Some of the businesses we clean windows for in Wetherby and Harrogate include shops, offices, pubs, restaurants, hotels and many others. We also offer gutter cleaning, conservatory cleaning and fascia and soffit cleaning. Please call us on 07805 207766 or 07702 246674 for more information.